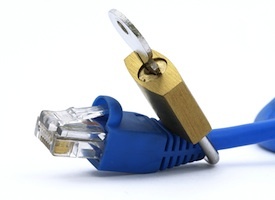 Software Defined Networking - A New Network Weakness? Network virtualization, under the umbrella of Software Defined Networking (SDN), presents an opportunity for network innovation but at the same time introduces a new weakness which will more than likely be targeted once solutions become more commercially available. Whether the underlying technologies used are OpenFlow or Overlay Virtual network, network virtualization solutions are based on a network controller which can be attacked in different ways. A successful attack on the controller will neutralize the entire network operation for which the controller is responsible – it can be said that there will be a new type of attack that will put the entire network operation under denial of service conditions. OpenFlow/SDN challenges the basis of the old style networking, and suggests a completely new approach – a centralized algorithm and intelligence, rather than a distributed one (distributed algorithms are typically executed concurrently with separate parts of the algorithm having limited information about what the other parts of the algorithm are doing). This centralized approach leads to a democratization of networks, which means that anyone who wants to control the network could do so through programming, using an abstraction layer as the network operating system (Network OS). The basic openflow principle requires that each packet which represents a new “flow” (e.g, typical TCP flow, L3 IP level flow etc.) that enters the openflow network to be sent to the network controller. The controllers will calculate the best path this flow should be routed through and will distribute this knowledge, in the form of flow table entries to all OpenFlow enabled routers and switches in the network. Once this is done, further packets that are associated with the same flow will be routed through the network without any further involvement on the part of the controller. The SDN, and more specifically OpenFlow technology, allows to define through software in the network controller what the network “flow” is. It can be a typical TCP connection or a pair of source and destination IP addresses, range of IPs, protocol type, etc. •	The data path infrastructures, i.e., the OpenFlow enabled switches and routers can now be a target of “flow table” saturation attacks. 2. The network scan tool is designed to reveal the “routing logic” that the controller was programmed to enforce and the definition of a “flow” in the network, i.e., is it a TCP connection, is it just a pair of IP addresses etc. 3. Once the “flow” definition is known to the attacker, the attacker can produce a high rate of traffic that generates new “flow” until it reaches the network controller capacity and puts the entire network in DoS conditions. The above attack process is simple but as in the case of other more traditional DoS attacks, it will not be so simple to protect against it. I know that a few companies are already thinking about how to protect against these new SDN weaknesses – it will be interesting to see how much progress is made before SDN becomes more widely implemented. Not adopting new security frameworks that protect against the types of attacks I have illustrated is similar to not protecting today’s DNS infrastructure – a BIG issue! Avi Chesla is CEO and Founder of empow, a cyber security company that envisions a future where security experts have the freedom, and the technology, to create unique solutions to meet their organizations' security needs. Prior to empow, Avi was CTO and VP of Security Products at Radware, where he was responsible for defining and leading the company’s strategic technology roadmap and vision including the foundation and management of Radware’s Security Division, a provider of cyber attack mitigation solutions. Mr. Chesla has authored a number of articles for major publications on advanced network behavioral analysis, expert systems and information security and has earned numerous patents in these areas. His views on industry trends and best practices have been featured in articles, white papers, and on the conference speaking circuit.